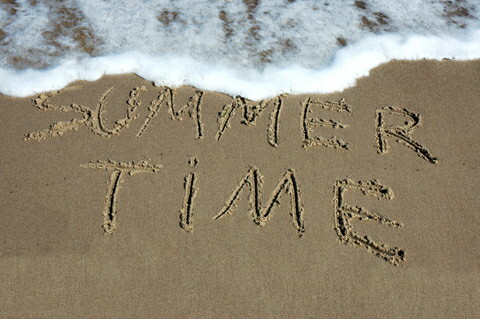 I’ve got the song “Summertime” spinning around in my mind today! It’s hot, hot, hot and time for some easy cooking and living! I’m keeping things simple and delicious with my post today. I’m not a big meat eater, but I do like some good sausage on the grill, it has to be really good for me to bother. I discovered Holme’s Smokehouse Original Pecan Smoked Sausage from Texas and the rest is history. My Texas roots took over the moment I read the label and the bonus of it being a BOGO at our local Harris Teeter last week cinched the deal. I limit my intake of cured meats like this, but this is worth the splurge once in a while. With the first bite, the snap of the casing and the burst of juicy, pecan smoked flavor, I was in foodie heaven! So this is what we had for dinner the other evening. Holme’s sausage on the grill, with ciabatta bread that I brushed with garlic olive oil from Golden Isles Olive Oil and fresh okra and summer squash from Uncle Don’s. I tossed the veggies with plain extra virgin olive oil, a bit of pink salt and put it right on the grill with the sausage as it cooked. A nice, crisp Pinot Grigio…cool and refreshing….a perfectly quick summer meal! We’re celebrating our independence this weekend! What better way than with some delicious, juicy ribs and lots of fresh veggies as sides! This is my special rib recipe, easy and so yummy! Be safe and enjoy this holiday! Preheat your oven to 325 degrees. Place the ribs in the ginger ale and beer, cover with foil and bake for 2 hours. Remove from the liquid and rub thoroughly with the Cajun spice mix and brown sugar. Refrigerate for 2 or more hours. Heat the grill to 350 degrees, place the ribs on the grilling rack and slather with Jack Daniel’s sauce. Grill, turning often, until both sides are cooked and caramelized. Serve with LOTS of paper napkins, or better yet, put a roll of paper toweling on the table! In a large bowl sprinkle the cucumber slices with salt, place wax paper over the top and place a couple of large cans on the paper to weight the mixture down. Let sit for a couple of hours then squeeze out the liquid and lightly rinse. 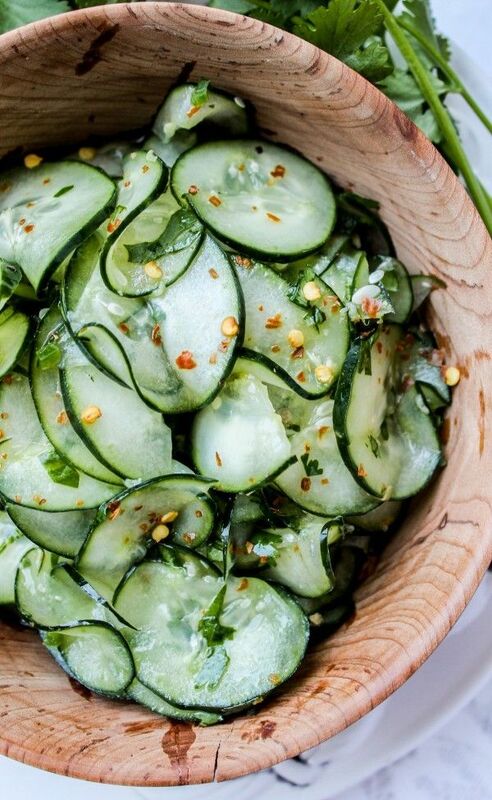 Place the cucumber slices in a clean bowl and add the remaining ingredients. Allow to refrigerate for an hour or so before serving. I keep these in the refrigerator all summer. They are always cool and delicious! Buy them locally at Uncle Don’s Local Market in all the various colors and sizes. Slice, sprinkle with a bit of sea salt and freshly chopped flat leaf parsley or basil….so good and so summery! Mix the butter with remaining seasoning and slather on the corn. Pull the husks back over the corn ears and place on the grill with the ribs. I put these on the upper shelf and once the ribs are cooked I put them on the larger grill for just a few minutes. Simplicity is key when it comes to summer cooking. I like to prepare a one dish meal in the morning that will be served that evening. This recipe is quick and delicious. We Southerners love our pie! This is a savory pie filled with sweet Vidalia onions and heirloom tomatoes from Uncle Don’s Local Market! I think you’ll love it! Pair is with a crisp green salad and you’ve got a delicious meal that can be prepared the morning of or the day before you plan to serve it! Place all of the ingredients, except for the water, in a food processor. Process until you have a crumble, corn meal like mixture. With the motor running, slowly pour the ice water through the feed tube until the mixture pulls away from the sides of the processor bowl and forms a firm ball. This can happen very quickly so be prepared. Place the dough on a floured surface and shape it into a ball. Wrap the dough in plastic wrap and refrigerate at least one hour or overnight. Return the chilled dough to a floured surface and roll out into a circle that is a couple of inches larger in diameter than your pie pan. Preheat the oven to 375 degrees. Place the rolled dough into a 9″ pie pan and crimp the edges. Prick the crust with a fork, line it with foil and place pie weights of a small, oven proof plate onto the foil. Bake the crust for 12-15 minutes. Remove from the oven and brush the crust with one beaten egg white, reserve the yolk for the filling. Sprinkle the bottom of the prepared pie crust with 1/4 cup of bread crumbs. Top with half of the onion slices and half of the tomatoe slices. Whisk the mayonnaise with the egg yolk until pourable. Drizzle 1/2 the mayonnaise mixture over the onion and tomato. Sprinkle with 1/2 the thyme and 1/2 the basil. Top with 1/3 of the cheese. Repeat this process again. Top the final layer with the remaining 1/4 cup of breadcrumbs and spray with olive oil. Sprinkle with 1/4 cup grated parmesan cheese. Bake at 350 for one hour and ten minutes or until golden brown and bubbly. Remove from the oven and allow to cool for about ten minutes before serving. Enjoy! I’ve featured my Peruvian Chicken recipe before but it deserves another round. The sides have changed and I think you’ll love them. I’m exploring different grains as the weather warms up, cool salads packed with nutrition and light desserts. Have a wonderful weekend….stay cool and enjoy! Place the chickens in two large zip lock bags. Combine the marinade ingredients and mix well. Pour half of the marinade into each bag, seal and refrigerate overnight, turning every few hours. Heat your grill to 400 degrees, or if using charcoal, heat until coals are turning white. Grill for about 6 minutes on each side. Cut into the chicken to make sure the juices are clear. Cut into serving pieces and place on a platter. I have to give credit for this recipe to 12 Tomatoes, one of my favorite spots on the internet when it comes to good eating! 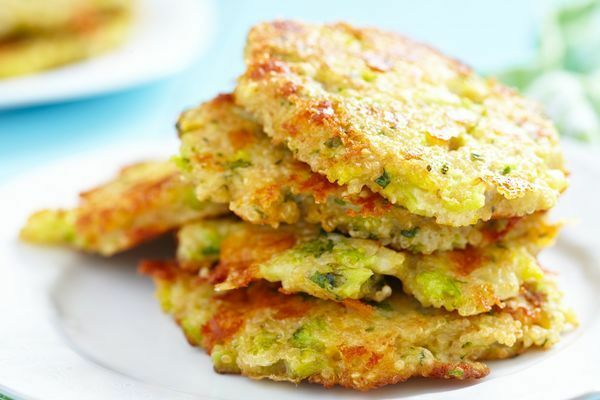 These are so yummy and you can vary the vegetables as desired. Toss the cucumbers and cilantro with the olive oil and lime juice to coat. Add the remaining ingredients, toss and chill for an hour. 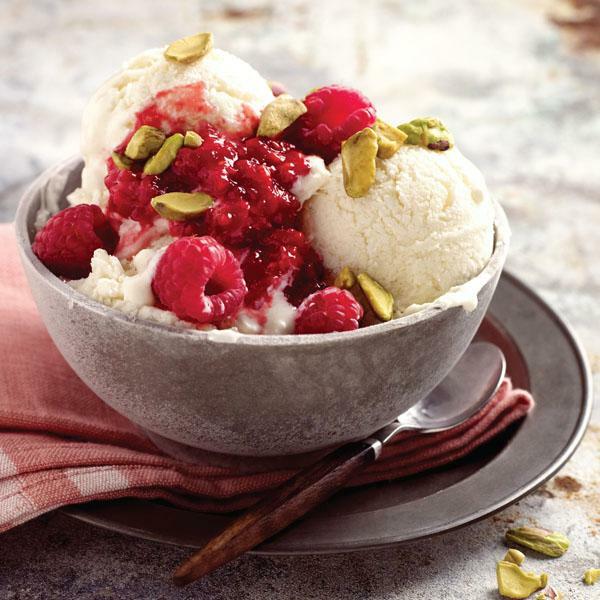 A nice bowl of frozen vanilla yogurt with fresh raspberries and chopped pistachio nuts completes the meal….yum! Easy cooking for easy summer living….enjoy! So many doors have opened for me as I have written The Permanent Tourist over the past two years! But I have to say that one of the most exciting opportunities is being contacted by the publicist of a budding new star on the Food Network’s Cooking Channel to write about her, the new show she co-hosts with Bobby Deen and the time she spent filming here on St. Simons Island last February. I got to speak with Nikki Dinki about her career and her flair for incorporating vegetables in unexpected ways so that anyone can love them! It’s all about thinking outside of the box, enhancing vegetables with sauces and butter, yes butter, in ways you may never have considered. The show made its premiere appearance on the Food Network June 2nd and offers a blind taste test of foods we might consider junk food and how Nikki and Bobbi create a healthier version. You’ll find participants, blind taste testers, choosing the healthier version, much to their surprise, when they learn which dish is which! So without further ado, here is a delicious recipe Nikki kindly sent for me to share with my readers! It’s easy and perfect for weekend entertaining, especially since it features shrimp and we all know how tasty our sweet Georgia shrimp is! 400°F. While they are heating, pulse the cauliflower in a food processor until finely chopped. of the salt and bake until brown – about 30 minutes, stirring every 10 minutes. food processor. Toss in the browned cauliflower and pulse until everything is finely ground. every 2 minutes until breadcrumbs are crispy and brown. Set aside while preparing the pasta. 3. Cook the pasta in the now boiling water until al dente according to the package directions. make the brown butter lemon sauce. one-quarter of the shrimp and scatter the cauliflower breadcrumbs evenly over the tops. Look for Nikki’s cookbook in 2016. Published by St. Martin’s Press, this book will guide you on your way to creative cooking! I cannot wait to get a copy! One more to add to my ever growing cookbook collection! Get to know Nikki better here: www.nikkidinkicooking.com, you’ll find more yummy ideas and recipes! Sometimes I just like to have fun in the kitchen. I’ve found some pictures of foods I absolutely love on Pinterest and I’m pairing them with my recipes today! It’s all about deliciousness and letting my culinary imagination go! If you have not visited Golden Isles Olive Oil in Redfern Village here on St. Simons you are truly missing out! Last weekend we had such a great time discovering what can be done with flavored olive oils and the many variations of balsamic vinegar that you’ll find there. Go for an olive oil and balsamic tasting! The ladies in the shop are super helpful and ready to help you get your collection going or put a gift basket together for a friend! I’m sold and I think you will be as well! So, without further ado! Here is my “fantasy” meal…..I think I’ll be making it this weekend for Mr. T to enjoy as well! Whisk the olive oil and vinegar together, add the seasoning and drizzle over the tomatoes. Sprinkle with fresh tarragon for garnish. Roll the thawed puff pastry out to an 11×14 rectangle. Preheat the oven to 425 degrees. Roll the edges of the dough slightly to create a “crust”. Cover the dough with the goat cheese and mozzarella. Place the asparagus on top of the cheese and sprinkle with the bacon. Bake for about 20 minutes, or until the crust is golden brown. I’m not going to even think of taking credit for this recipe. I found it on the Dixie Crystal Sugar website. But I will suggest adding a bit of blackberry ginger balsamic vinegar to the puree for a little “zing”. I even learned that a little balsamic added to vodka and some sparkling makes a pretty refreshing cocktail! Lightly butter and sugar four 10 ounce ramekins or five 7 ounce ramekins and set aside. In a small bowl measure out sugar. Add lemon zest and with your fingers, rubbing firmly, rub zest into sugar. This will release oils from citrus zest and perfume th sugar with lemon flavor and scent. Sift flour and salt into bowl with zested sugar and set aside. In a mixing bowl, combine egg yolks, buttermilk and lemon juice and mix until combined. In a separate bowl whip egg whites until stiff peaks form. Add batter to whipped egg whites and gently fold the two into one another until mixed. Place ramekins in a large roasting pan (or similar) and fill with hot water around ramekins so that it reaches half way up sides. Pour batter into buttered and sugared ramekins dividing evenly and bake 40 minutes until they’re golden brown and spring back when gently pressed. Allow to cool slightly then invert gently onto a serving dish and serve with puree of choice. Garnish with whole berries and mint sprigs. Using a stand blender, food processor or emersion blender, add berries and 2 tablespoons sugar and blend until smooth. Taste and adjust sugar if needed. It’s not summer without pesto. Many people think of basil and basil only when they hear the word. I have expanded on the subject and add spinach, arugula, parsley, pecans, walnuts, or even almonds in place of the traditional basil and pine nuts. Actually, pesto comes from the Italian word, which means to pound or to crush. My menu today is short and simple, yet really delicious! The pasta I use is gluten free so no worries there! Also…join me at Golden Isles Olive Oil tomorrow where you’ll have a real treat. I’ll be there with books for signing and delicious sweets for you to taste. Chefarmer, Matthew Raiford, and Jovan Sage, food alchemist, will be offering a savory bruschetta bar with a twist. Culinary fun from noon until 3:00 pm! In a food processor, combine the spinach, basil, nuts, garlic and cheese. Process until well ground. In a steady stream, pour the olive oil through the feed tube until a thick emulsion forms. Season with salt and pepper to taste. Toss with the warm pasta , top with a large spoonful of the tomato salsa and freshly shaved parmesan cheese. NOTE: You may also serve this is as a side dish with grilled chicken or fish. I love it on its own on a warm summer evening! This is my newest, refreshing discovery for cooling off on a hot summer day! I love the slightly tart flavor of pomegranate and this bar delivers! The perfect dessert! I grew up on the Gulf Coast of Texas, outside of Houston. The neighborhood was as much a part of Louisiana as it was Texas. I remember eating Shrimp Creole, Chicken Gumbo and all of the various seafoods that were available in the local waters . Every holiday meal that involves a turkey in our home results in a big pot of gumbo to be served a couple of days later. Otherwise, as in this case, I use chicken, with the bone in and andouille sausage. You can add oysters and shrimp to the mix as well! Come to think of it, there really isn’t a recipe that I follow. I’ve made this for so many years it just comes together instinctively! I think I can list everything in a way that you can follow, however. Brown the chicken pieces in the oil, season with salt and pepper then add the browned chicken to a dutch oven, cover with water and boil for 2-3 hours. Remove the chicken pieces from the pot, take the skin off and debone the pieces, returning the meat to the pot with the cooking liquid. This takes a bit of time and patience, but it’s worth it! Combine the oil and flour in a cast iron skillet and cook over low heat, stirring constantly with a wooden spoon until the mixture’s color is the same as the photo above. Then add the Cajun Trinity and the other ingredients. Let this simmer for 10 minutes, add to the pot with the chicken and broth. Let the gumbo simmer, covered for a couple of hours. In the last half hour you can add 2 cups of fresh, sliced okra if you desire. Make a big pot of sticky white rice to serve the gumbo over. I use a professional ice cream scoop to get just the right serving size. To serve I sprinkle each bowl with chopped flat leaf parsley and scallions. This is a great meal for a rainy Saturday evening, served with a crisp green salad, or the traditional creole potato salad you would find on the table in Louisiana. Hot garlic bread is a must and plenty of ice cold beer, whatever your favorite brand is. In a large saucepan, combine potatoes, eggs, and 1 teaspoon salt with enough water to cover. Bring to boil; reduce heat to simmer, and cook for 10 minutes or until potatoes are tender. Drain potatoes, and refrigerate until cold. Cool eggs by running under cold water; peel and dice eggs, and set aside. In a large bowl, combine mayonnaise, mustard, olives, bell pepper, celery, all onion, parsley, relish, vinegar, olive brine, Worcestershire, pepper, and remaining 1/4 teaspoon salt. Fold in potatoes and eggs. For dessert you might make a batch of pecan pralines, let them harden and crumble them over good vanilla ice cream. We’re talking delicious now! Mix sugar, salt, milk and Karo syrup in a heavy pan and bring to the soft ball stage. Add butter and vanilla, beat with a whisk and cool. Add pecans and drop by spoonfuls onto wax paper. When the pralines are firm they are ready to eat. As they say in New Orleans……Bon Apetit, ya’ll! I am now accepting sponsors for this site. If you are interested in a unique, affordable way to promote your business or service please contact me: melissa@thepermanenttourist.com. 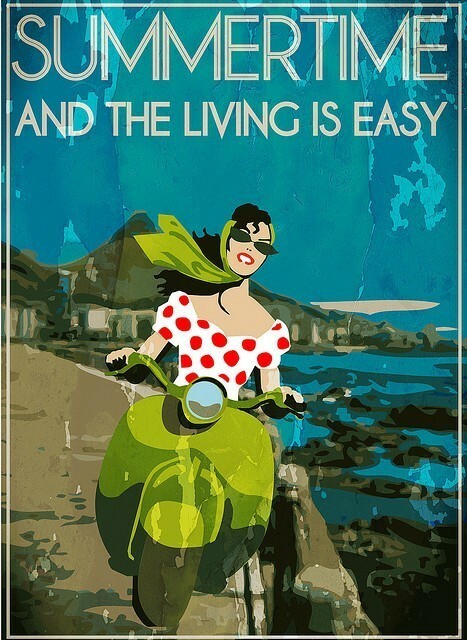 Easy summer living…..it’s the only way to go! We’re cooking fresh chicken sausages with peppers and sweet Vidalia onions. My family loves this dinner accompanied by grilled, garlic Ciabatta bread. This is one of my “go to” menus when it’s been a long hot day. Everything goes right on the grill…..it’s oh so easy! Most supermarkets carry Italian chicken sausages. At our local Harris Teeter they have them, freshly made, in the butcher’s case. Simply take them out of their container, score them a couple of times on top, spray your grill with a bit of olive oil and place the sausages on the grill. We like ours to be medium well and that takes around 4-5 minutes on each side. Remove from the grill and cut the sausages in half to serve. I always keep plenty of green and red bell peppers this time of year. We love them raw or grilled. You’ll want to remove the stem, core, seeds and any membrane on the inside before slicing the peppers into thin strips. Peel and half the onion, then slice in “1/2 moon” slices. Chop the garlic and toss it into the pepper and onion mix with seasoning and olive oil. I have a teflon grilling “wok” that I use to cook this. Simply place the wok on your grill top and cook the veggies for 7 – 10 minutes, depending on how done you want them. My crowd prefers the peppers to be slightly crunchy so I go with seven minutes. Split a loaf of Ciabatta bread in half, lengthwise. Generously brush both sides with olive oil and sprinkle with finely chopped fresh garlic. Place the bread split side down on the top rack of the grill and cook until golden brown. I like to use a sweeter red wine for spritzers, Barefoot makes one “Sweet Red Wine” that is great mixed with lime seltzer and plenty of lemon and lime slices. This makes a light, refreshing summer drink and the slight sweetness compliments the spiciness of the sausages. There you have it! An easy summer menu sure to please just about anyone…..and you didn’t have to heat up the kitchen! Summertime life is good! Mother’s Day is coming up on Sunday! My daughter always makes me breakfast and then I prepare a special midday meal for my mother. It’s always a great time for celebrating each other and the love that we share. I thought I give you a little peek at what will be on the menu! Feel free to copy me if you like! Yummy things for a very wonderful person…..Mom’s everywhere! Heat the oil slightly in a small pan and saute the shallots until just tender. Simmer the asparagus in the broth until tender. Add the shallots and simmer for five minutes. In batches, ladle the mixture into a food processor or blender and process until smooth. Return to the pan and heat until just beginning to simmer. For the creme fraiche, combine 1/2 cup sour cream with 1/2 cup heavy cream. Mix well. 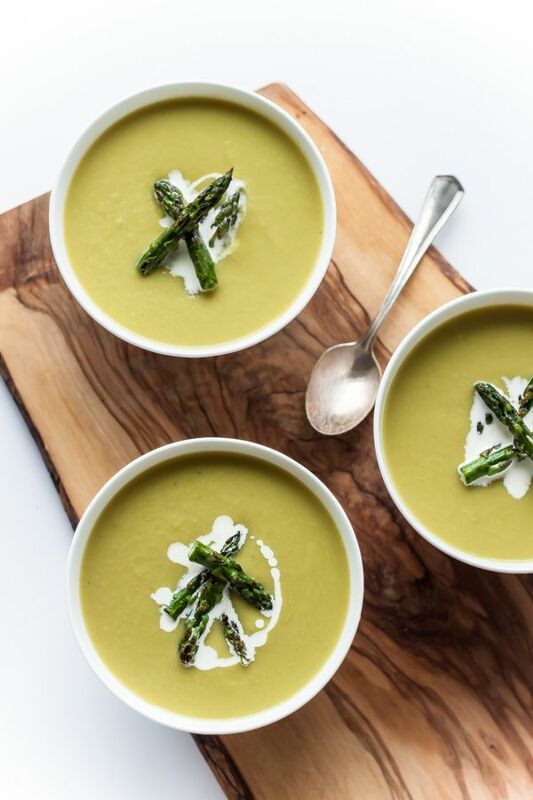 To serve: Ladle into soup bowls and spoon a small amount of creme fraiche into the middle of each bowl. With a toothpick or bamboo skewer, begin at the middle and pull the mixture through the soup to create a spiral effect. I like to garnish with a couple of asparagus tips that I’ve lightly sauteed in olive oil, but this is a personal choice. Sprinkle with chopped, fresh chives and enjoy! 1/2 teaspoon dry minced onion. Mix the rub mixture and rub it into the salmon without skin. Heat the grill to medium-high, 350-400 degrees. Place the plank, which you have soaked and drained, onto the grill and heat for three to four minutes. 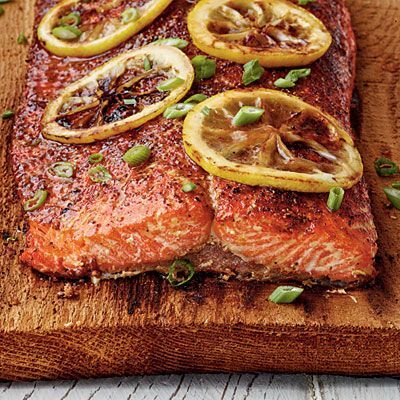 Place the salmon, skin side down, on the plank and top with with the lemon slices. Put the plank with the salmon back on the grill, close the cover and cook for about 20 minutes. Garnish with chopped scallion and serve. I could stand over the stove and stir risotto for the time it takes, but this is Mother’s Day and I’m supposed to be celebrated as well! Short cuts are in order and this one works very well. 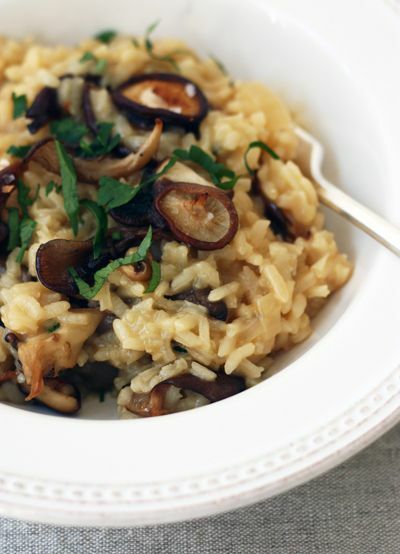 I use the package of “Alessi” mushroom risotto that is for sale at most grocery stores. I also purchase about a quarter pound of shitake mushrooms. I saute the caps, which I slice thinly in about a half tablespoon of butter, I add a good 1/2 cup of chopped, fresh, flat leaf parsley and stir this all into the risotto mixture that I have cooked according to the package instructions…EXCEPT…I cook the risotto in vegetable broth instead of water. It adds flavor and that’s important! 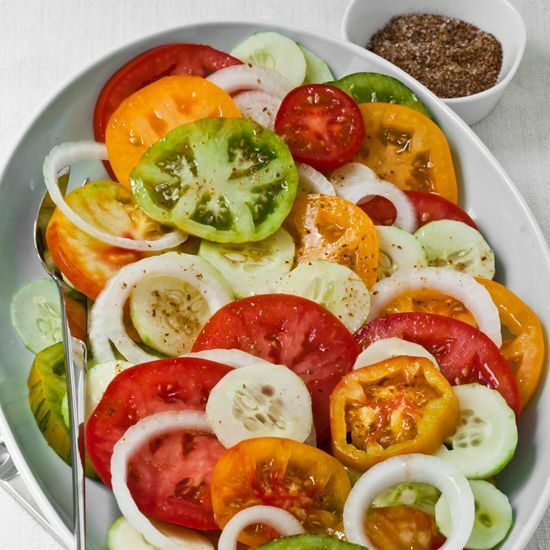 Slice the tomatoes in thin slices, peel and slice the cucumber and onion. Combine the dressing ingredients and toss with the vegetables. Chill until ready to serve. Whip the buttermilk and cream cheese together until it is the consistency of “pudding”, add more buttermilk if needed. Add the sugar and vanilla and mix. 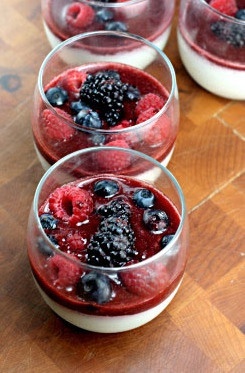 To Serve: Place pudding in the bottom of 4-6 serving “glasses” and top with the berry mixture. Garnish with a fresh mint sprig if desired.